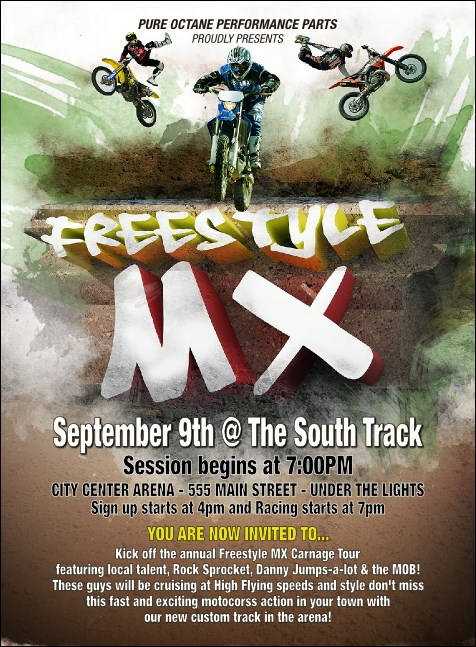 Stay on the right track with your extreme event advertising when you send out personalized Freestyle MX Invitations to everyone on your guest list. Rev your promotional engine and advertise your event in advance with Invitation templates that feature a cool, graffiti-inspired design and three riders doing tricks in the middle of a big jump. Impress even the judges with TicketPrinting.com.